Dizdarevic, A. Azzopardi, P. Debono, A. Zammit (O. Spiteri), C. Caruana, A. Debrincat, T. Vella, M. Hrubsa, N. Mercieca, D. Sakic, M. Perisic. Victoria Hotspurs obtained three deserved points from a win with the odd goal from three in the match against Kercem Ajax. With this result the Hotspurs moved closer to achieve their objective to become mathematically champions before their last match in the championship. As expected the Hotspurs held command of play throughout the encounter but they found difficult to open a comfortable lead despite the fact that they scored the first goal at an early stage of the encounter. For this match the two sides had regular players missing due to suspensions and injuries. The Hotspurs had defender Jason Pace who was suspended while Christian Mercieca started the match from the bench. On the other hand Kercem had Jean Paul Mizzi and Daniel Cassar who were suspended, Felipe Augusto De Oliviera was injured and Owen Spiteri started the match from the bench. Victoria’s win matured with a goal scored in each half and only conceded Kercem’s goal during the final stages of the encounter when there was not much time left for the Ajax to save the result. During the opening minutes of the match Kercem shared play with their more quoted opponents but the Ajax did not manage to create any danger to Victoria’s rear guard. As time passed by Victoria’s striker became more direct in their play and started to create pressure on the defence. On 6 minutes Kercem’s keeper Vladimir Dizdarevic partially deflected a cross by Elton Da Silva but Miguel Montano and Joshua Buttigieg both failed to take the opportunity so that the same goalkeeper recovered in time and saved the danger. On 12 minutes Victoria’s Elton Da Silva took the ball following a miskick by Kercem’s defence, entered the area and turned around the goalkeeper but his low drive was cleared off the goalmouth to a corner by central defender Daniel Sakic. One minute later a header by Victoria’s Joshua Buttigieg was saved to a corner with the aid of the crossbar by goalie Vladimir Dizdarevic and on 16 minutes the Hotspurs opened the score when Ferdinando Apap unmarked Elton Da Silva inside Kercem’s area and the latter fired in goal from an angled position. The Hotspurs kept insisting and on 18 minutes Joshua Buttigieg failed to connect to an inviting low cross by Elton Da Silva and four minutes later the same Da Silva produced a personal action from the left flank and from his low cross a first time by Ferdinando Apap ended wide. On 28 minutes a header by Miguel Montano following a cross by Daniel Sowatey ended high and on 32 minutes Kercem could have created more danger when Anthony Zammit entered Victoria’s area but crossed towards the middle instead of trying a shot at goal so that the defence cleared the ball from the area. In another occasion a shot by Kercem’s Milos Perisic ended wide and on 39 minutes Victoria went again close to scoring through a shot by Miguel Montano that ended just wide. On 42 minutes the same Montano entered the area from the right flank but his shot ended over the crossbar. One minute later Kercem’s goalie Vladimir Dizdarevic neutralised a lob by Emiliano Lattes and the same goalkeeper was well placed on 44 minutes to neutralise without difficulty an attempt by Elton Da Silva following a personal action. The Hotspurs continued to dictate matter after the break but the strikers were often erratic in their finishing. On 59 minutes Miguel Montano took the ball from Kercem’s defence but his shot was blocked to a corner. From the same corner action an attempt by Shaun Bajada ended high. On 64 minutes Elton Da Silva produced a personal action inside Kercem’s area but from his pass Shaun Bajada hesitated and at the end the shot by Christian Mercieca from close distance was cleared to a corner by defender Daniel Sakic. On 65 minutes an effort by Ferdinando Apap from the edge of the area got a deflection and the ball arrived to Miguel Montano who had his close ranged attempt blocked by goalie Vladimir Dizdarevic. The same goalkeeper was called to make another important intervention three minutes later following a low shot by Elton da Silva following a personal action and on 70 minutes Kercem replied with a curling shot by Thomas Vella that ended wide. Two minutes later Victoria’s Miguel Montano had a shot that was easily neutralised by Kercem’s keeper and on 76 minutes the same goalie saved a shot from long distance by Elton Da Silva. Victoria’s Miguel Montano could have scored another goal on 78 minutes but he concluded badly a cross by Elton Da Silva so that the goalkeeper saved without difficulty, but Miguel Montano made up for the mistake one minute later when he doubled the score with a tap-in following a counter break by Christian Mercieca. 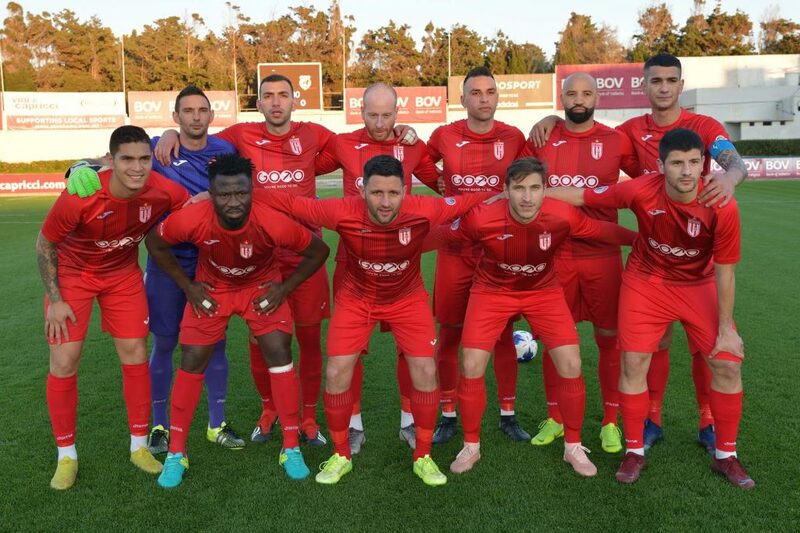 The same Christian Mercieca had a good attempt on 82 minutes that ended wide and on 85 minutes an effort by Ferdinando Apap was well saved by goalie Vladimir Dizdarevic. Kercem replied on 86 minutes with a good break but Owen Spiteri’s goal was disallowed for an offside infringement. One minute alter a strike by Victoria’s Emiliano lattes missed the target and on 90 minutes Kercem scored their consolation goal through a strike by Milos Perisic that surprised Victoria’s keeper. In the first minute of stoppage time the Hotspurs could have regained the two-goal lead but a shot by Miguel Montano following another good move by Elton Da Silva ended wide.